This acreage has it all!!! Country living at its best, this 10 year old home was custom built and has 5 bedrooms and 3 baths. A large pond is in view of the large deck on the east side of the home. There is a fireplace in the living room and all appliances stay. A 36' x 40' shop was built new in 1978. Country living at its Best! 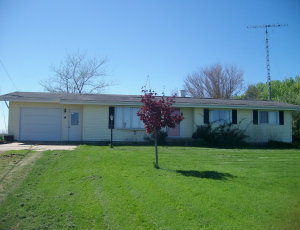 This ranch style home is located south of Emmetsburg on Highway 4. 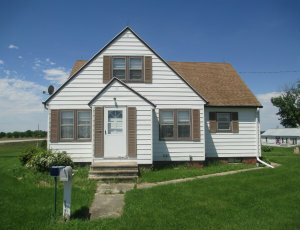 This home has lots of room for a growing family and is located in the Emmetsburg School District. A rare opportunity to live in the country. 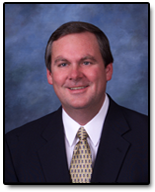 These building lots are located 2 miles North of the Emmetsburg Golf Course on County Road N40. These are great building lots with views of the West Fork of the Des Moines River and are located minutes from town on a hard surface road. 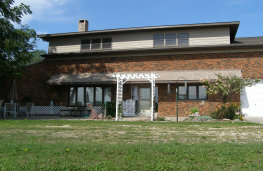 This acreage is located 8.5 miles southwest of Emmetsburg. This property is an ideal place to raise horses. Recent improvements to the house include 2 new bathrooms, new kitchen cupboards, new flooring throughout, new siding, and new roof. Seller will divide the property as stated above. This acreage is located one half mile east of Mallard on county road B63. The septic system is newer. It has several outbuildings. Here is a chance to own a nice acreage on a paved road close to town. 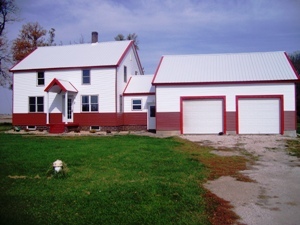 This acreage has approximately 10 acres of pasture land to provide income. The well was new in 2008 and is approximately 400 feet deep. There are some older outbuildings with the building site. 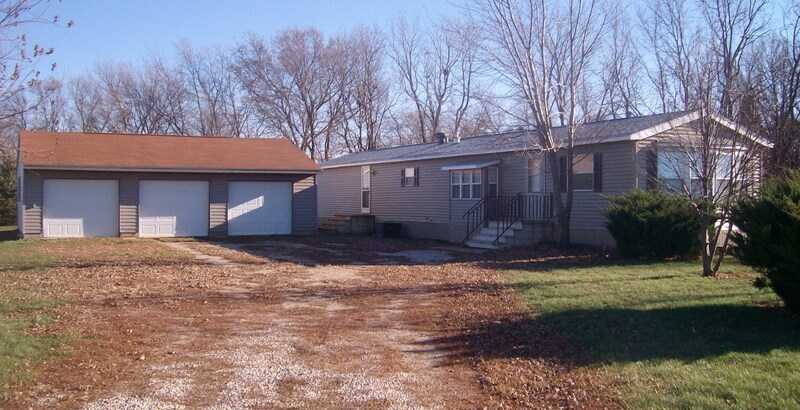 Located in the Emmetsburg School District, this property is great for a growing family. 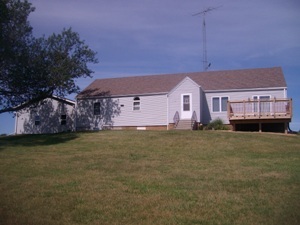 This acreage is located just minutes south of town on highway 4. It features a heated shop building and has city utilities. 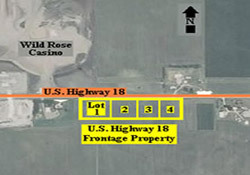 This acreage is located on Highway 4, 3 1/2 miles south of Emmetsburg. A new kitchen addition was built in 2004. This ranch style home features a large newer kitchen with oak cabinets. 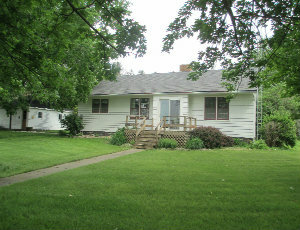 Located 15 minutes from Emmetsburg, this acreage has lots of mature trees and is in the Emmetsburg School District. 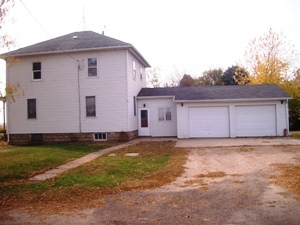 This acreage is located 16 miles NE of Emmetsburg at the intersection of B14 and N60. The home features a finished basement and the house has vinyl siding. 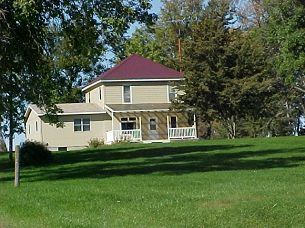 The unique property features 10 acres of land with a fishing pond and a field of Aronia plants. 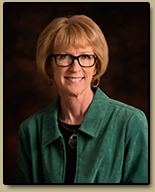 The home features a new 2nd floor addition with over 2,700 square feet and a wood burning fireplace.